Slow Food Anglia is part of Slow Food UK and we were established in 2014 in Norfolk andcover the counties of Essex, Suffolk, Cambridgeshire and Norfolk. Slow Food is a global, grass roots organisation with supporters in over 150 countries around the world that links the pleasure of food with a commitment to the community and the environment. Slow Food International overseas the world wide movement of local groups and organises bi annual events such as Terre Madre, Slow Fish and Slow Cheese which are all held in Italy. Slow Food was initially founded by Carlo Petrini and a group of activists in Italy during the 1980's with the aim of defending regional traditions, good food, gastronomic pleasure and a slow pace of life. Promoted as an alternative to fast food, it strives to preserve traditional and regional cuisine and encourages farming of plants, seeds and livestock characteristic of the local ecosystem. Slow Food was a pioneer of the promotion of good sustainable farming and fishing practices and still works closely with community groups throughout the world. In over two decades of history, the movement has evolved to embrace a comprehensive approach to food that recognizes the strong connections between plate, planet, people, politics and culture. Today it has more than 300,000 members in 150 countries, it also has many millions of supporters throughout the world and involves millions of people daily in its work and projects. 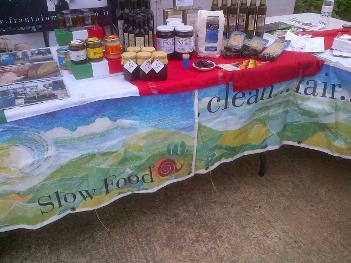 Slow Food also works closely with other agencies and with groups such as UNESCO and Sustain in the UK, always promoting good sustainable methods of food production and farming techniques. Slow Food Anglia is now part of the new Slow Food England region which was formed in early 2015. 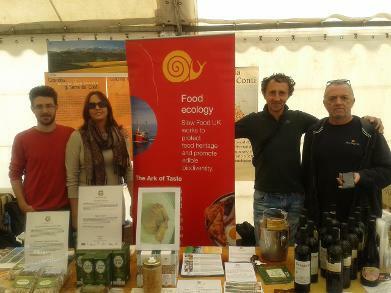 Slow Food England is in turn a part of the large Slow Food International movement which has several hundred thousand members spread throughout the world. We are based in the East Anglia the eastern region of England which includes the eastern counties of Norfolk, Suffolk, Cambridgeshire and north Essex. Slow Food Anglia has several local Slow Food groups within its boundaries, including Slow Food Norwich, Slow Food Aylsham and Slow Food East Suffolk groups and we are now working on plans to open a new group in Kings Lynn and also on reopening the Cambridge group in 2016. The well known cities and towns of Norwich, Kings Lynn, Cambridge, Ely, Peterborough, Bury St Edmunds, Ipswich, Colchester and Chelmsford are all found in our region. The east of England is a very rural part of England with large open expanses throughout the counties of Norfolk, Suffolk,Cambridgeshire and Essex. Slow Food Anglia plays an active part along with our local Slow food groups in promoting the ethos of good locally produced food and drink in the east of England.This part of England has a long coastline bordering the North Sea with a fishing heritage going back many hundreds if not thousands of years. Today small fishing communities still exist along the coast though much depleted in number compared to even just twenty years ago. During the 13th to 17th Centuries the region also played an important part in the Hanseatic league, a trading area which included Norfolk, Suffolk. Holland and Germany. Today the east of England still is one of the main food producing areas in the UK and we are proud of the many small producers still working in our beautiful region.